Have you ever wondered about how to refinance a home? If so you are not alone. Many veteran home owners do not realize some of the options and benefits of refinancing. Refinancing your home mortgage doesn’t have to take a lot of time if you understand how the refinance process works and what you need in order to complete it. When it comes to VA refinances, two main types are very popular. The first is the VA IRRRL, also known as the VA streamline refinance. 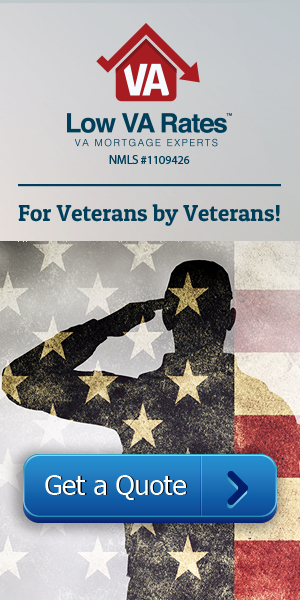 This is for refinancing an existing VA loan, and it can take as little as 10 days to complete. The second type is called the VA cash-out refinance. This can be used to refinance almost any existing loan and will allow the borrower to take extra cash out at closing that can be used to pay almost any expense. To better understand the refinance process for each loan, take a look at the steps for refinancing home mortgage. The first step in taking out any loan is preparing ahead of time. Before you even talk to your lender, you will want to check your credit report and score well in advance in order to fix any major issues with your credit. Check for inaccuracies and pay off whatever debts you can in order to boost your score since a higher score will get you a lower interest rate in almost every case. After you’ve boosted your score however you can, shop around for the best lender. Remember that there’s no rule saying you must refinance with the same company you purchased with. Take a look at the available interest rates, quality of customer service, and customer ratings of potential lenders in order to find one that’s best for you. After you’ve found the lender you’ll do business with, you need to decide which refinance loan option will be best for you. When deciding between the VA IRRRL and VA cash-out, the biggest determining factors are whether you need extra cash out on top of your mortgage loan amount and whether you already have a VA loan. If you don’t have a VA loan, you must do a VA cash-out. If you need extra money, you also must do a VA cash-out since this is not possible with the VA IRRRL. However, if you do currently have a VA loan and you don’t need any extra cash, the VA IRRRL will probably be your best option since this is much faster and will guarantee that you’ll save money on your mortgage payments. Your lender will be able to show you the advantages and disadvantages of each loan type and of each rate plan. With any VA refinance, you can choose from several different plans, which include fixed-rate mortgages, ARM loans, and Hybrid ARM loans. Remember that you have more decisions to make besides which refinance to go with. You must also decide the terms of your loan (30-, 25-, 15-, or 10-year life) and how long the fixed-rate period will be on your Hybrid loan if you decide to take that route. The next step in the process to refinance your mortgage is gathering the necessary documentation. The process will go much faster if you already have these documents on hand, and get a list from your lender since they require different documentation for each refinance loan. For the streamline, the lender takes much of the needed information from the existing loan, so there is very little for you to sign and email. The VA cash-out, on the other hand, requires more documentation. This is not a comprehensive list of the documentation required for a refinance, but if you gather this information ahead of time, it will definitely save time in the process. After you’ve gathered the necessary documentation and given it to your lender, your house may need another appraisal if you are doing a cash-out. If you’re doing a VA IRRRL, an appraisal is not necessary. Overall, most refinances take up to 90 days to process. With the VA streamline refinance, or VA IRRRL, you may close on your loan in as little as 10 days due to the small amount of needed paperwork. The steps to refinancing your home may appear to be complicated, but it can actually be quite simple and stress-free with the help of your loan officer. Plus, the advantages of doing a refinance on your home generally outweigh any negatives. At Low VA Rates, we always put our clients first and ensure that you are always saving as much money as you can on your mortgage. Give us a call now at 855-223-0705 to get started.